The recreational and medical marijuana industry is booming. How did it get here and what does the future hold? In a majority of U.S. states and a growing number of countries across the world, the cannabis industry is booming. From small medical marijuana dispensaries and large-scale marijuana extraction laboratories to hemp cultivation, a new wave of commerce is sweeping the globe. The change has come on with such force that it’s easy to look around and forget that this current state of affairs wasn’t always the case. Exactly when did the marijuana industry begin to grow and what does its trajectory look like for the future? The cannabis industry is taking the world by storm. No cannabis industry overview would be complete without looking at how it all started. While small cannabis coffee shops have thrived for years in cities like Amsterdam, in places like the U.S. and Canada, it used to be a cannabis connoisseur’s fantasy to imagine walking into a store and selecting from among different marijuana strains and products. Today, that fantasy has become a reality – with medical and recreational dispensaries popping up throughout a number of U.S. states and Canada. While many people have been slow to come around to the idea of recreational marijuana as acceptable, the use of marijuana for health purposes has opened people’s minds and helped lift the stigma surrounding cannabis consumption. In the late 70s and early 80s, a few dozen U.S. states passed laws to allow medical cannabis through federally-approved research programs, but very few of these states actually followed through on the programs. Medical marijuana legalization didn’t truly gain steam until the 1990s, when California passed a series of laws protecting medical consumers. The city of San Francisco passed a resolution that prevented medical marijuana patients from being targeted by law enforcement and allowed legal distribution of medical marijuana to people with AIDS. After a series of smaller measures, California voters passed a statewide ballot measure in 1996 that granted legal access to marijuana to people with specific conditions that included AIDS, glaucoma, cancer, and other chronic or painful illnesses. The following years saw other states follow suit, with Arizona passing a medical marijuana bill in 1996 and Washington, Oregon, Alaska, and Nevada passing their own initiatives in 1998. Meanwhile, Canada started a medical marijuana program in 2001. In the years since, an ever-increasing number of states have voted to allow their citizens medical access to cannabis. Even many states that have yet to approve high-THC cannabis have passed resolutions to allow patients access to low-THC, high-CBD products to treat conditions such as seizure disorders. These laws have resulted in a growing number of cultivation facilities and dispensaries that have sprung up to accommodate the need. If the passage of medical marijuana laws got the wheels of the cannabis industry moving, the legalization of recreational marijuana got them practically spinning. In 2012, Colorado and Washington became the first two U.S. states to allow recreational marijuana to be purchased from licensed dispensaries and consumed on private property. Alaska and Oregon were the next two states to approve recreational cannabis consumption (in 2014), and half a dozen other states had done the same by 2018. Handling money as a cannabusiness is tricky, however. Because marijuana is still deemed illegal by the U.S. government, dispensaries and other businesses are unable to take advantage of relationships with banks that must abide by federal laws. In October 2018, Canada legalized recreational marijuana at the federal level, putting further pressure on the U.S. government to follow suit. Caught up in the prohibition of THC-containing marijuana, hemp had long remained illegal in the U.S. even as many countries in Europe and throughout the world relied upon it as a lucrative cash crop. In December 2018, this all changed when the Farm Bill signed into law finally lifted the prohibition on hemp, officially freeing non-psychoactive cannabis from federal legislation. U.S.-based farmers are now legally able to grow cannabis that has less than 0.3 percent THC. This has greatly expanded the cannabis market for clothing, food items, and other products made from hemp. It’s also lifted the cloud of legal uncertainty around products that contain CBD (cannabidiol), an ingredient found in marijuana and in higher percentages in hemp. A growing number of people are turning to CBD products to treat a host of medical conditions – from depression and pain to insomnia and anxiety. CBD has also proven effective in treating certain rare seizure disorders like Dravet syndrome. Passage of the 2018 Farm Bill legalized hemp and gave a boost to the cannabis industry. Continued movement towards legalization amongst U.S. states and federal legalization in Canada has sent many cannabis stocks higher and higher. These include marijuana firms seeing their stocks shooting up after investments from tobacco giants and other large companies. 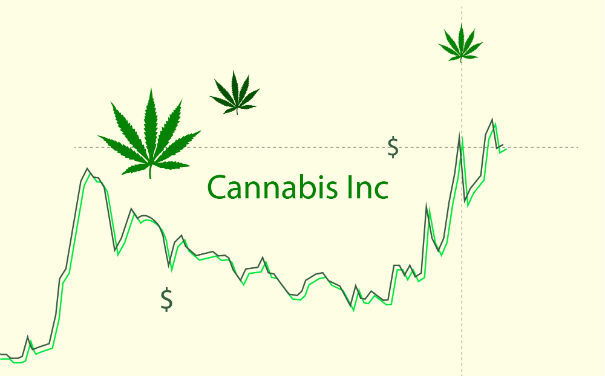 Cannabis pharmaceutical stocks have also done well. G.W. Pharmaceuticals saw its stock value increase after the company received FDA approval of Epidiolex, its CBD-based seizure medication in the summer of 2018. Federal legalization in Canada also sent many cannabis stocks riding a wave, shooting up and then going back down again in the weeks after that country ended its prohibition on recreational marijuana. Another headline that affected cannabis stocks had nothing to do with marijuana, but with its non-psychoactive cousin, hemp. The passage of the Farm Bill in December 2018 sent the value of hemp stocks up. This was particularly the case with firms that market CBD products derived from hemp. Since these products were already popular, the validation of their now being legal has made previously-nervous investors more confident about investing in them. While big events like this do tend to increase stock values in the short term, experts warn investors to be leery of the “green rush” and research individual cannabis stocks the same way they would any other stock. Many people think of the cannabis industry as simply farmers growing marijuana plants and dispensaries selling the products. In reality, the industry has four main sectors: cultivation, extraction and testing, retail sales, and ancillary roles that are essential to cannabis businesses. These four sectors come together to offer cannabis consumers safe, reliable products and the best information about those products, as well as marijuana in general. In the cannabis cultivation field, people with extensive expertise in botany work to breed and produce classic cannabis strains that consumers have enjoyed for years, as well as exciting new ones. Many cannabis cultivators have degrees in areas such as plant science. Growing cannabis requires a deep understanding of traditional grow methods as well as keeping up on the latest in cannabis technology that has brought hydroponics, vertical growing, and automation to the industry. Once the cannabis is harvested and leaves the cultivation facility, its next stop is to undergo testing for pesticides, microbes, solvents, and other harmful ingredients. Places like Colorado now require testing on all commercially-grown cannabis. After it’s tested, some plant material is sent to be processed to make cannabis extracts such as oils, wax, and tinctures. Due to the stringent standards required of cannabis extraction laboratories, the resulting products are often used by medical marijuana patients who need precise and reliable dosing and an assurance that their products are free of contaminants. It’s the retail side of the marijuana industry that customers are most familiar with; this consists of dispensaries, their owners and management, and the staff that help guide customers in the right direction when looking for a specific strain or product. The most famous of all retail roles in the cannabis world is the budtender. They must be extremely knowledgeable about the effects of different marijuana strains as well as the impact of various consumption methods. Some medical marijuana dispensaries make it a point to hire staff that has pharmacy training in order to properly guide patients to the right strain and dose. This sector of the cannabis industry thrives on supporting the other three. Ancillary commerce in the marijuana world involves roles such as web design, product packaging, investing, consulting, marketing, and other media activities. People in this field may never actually touch a cannabis product, but their jobs are necessary to keep the other sectors running smoothly. With the number of places that allow medical and even recreational marijuana on the rise, the demand for cannabis has also gone up. This has sent companies on the hunt for employees to work and fill that demand. As of 2019, there are between 125,000 and 160,000 full-time employees in the cannabis industry. Marijuana Business Daily estimates that by 2022, the industry will add another 340,000 cannabis-related jobs. These jobs will be in a wide range of roles across the recreational and medical marijuana industry. Grow houses will be looking to hire people with green thumbs and dispensaries will be on the hunt for knowledgeable budtenders. Extraction laboratories also need highly-skilled technicians to create medical-grade marijuana extracts for patients who need the highest-quality products to treat their illnesses. Job listings are also expected to include a variety of white collar cannabis jobs, from experts in operations management and legal compliance to roles that handle the financial and marketing aspects of cannabusinesses. A growing recreational and medical marijuana industry has given rise to jobs in dispensaries, grow facilities, extraction labs, and more. As the industry grows, there has been a movement to pull business owners and investors together in an effort to protect the legal progress that’s been made and push for further reform. One of the most prominent organizations involved in these efforts is the National Cannabis Industry Association. The National Cannabis Industry Association was formed in 2010 after the U.S. Justice Department released the Ogden memo that directed federal prosecutors not to prioritize prosecuting medical marijuana patients who were complying with their state laws in obtaining and consuming their medication. This memo ensured a degree of protection for patients and marijuana-related businesses that had not previously existed, and it helped give rise to the new cannabis industry. When it comes to pushing for legislative change and ensuring that governments play by the rules, there is great power in numbers. The National Cannabis Industry Association was built on this belief, which is why its founders decided to bring together a strategic and powerful economic force to coordinate an effort to protect cannabis businesses, defend state laws, and work to advance cannabis reform at the federal level. The National Cannabis Industry Association connects its members through a variety of events that allow them to network, get educated and up-to-date on the latest industry news and happenings, and take action to preserve progress and create change on the legislative scene. The Association’s website contains a calendar that’s filled with socials, caucus series, lobby days, and trade shows held all around the U.S. The association represents approximately 2,000 cannabis-related businesses and also tens of thousands of professionals who work in or with the cannabis field. Members of the National Cannabis Industry Association include a diversity of companies, including firms in the cannabis cultivation sector, extraction laboratories, cannabis consulting firms, as well as companies like Dr. Bronner’s Magic Soaps that aren’t cannabis-related, but whose leaders support hemp and drug policy reform. Continued action from businesses and trade organizations such as the National Cannabis Industry Organization will help push for change that will move the marijuana industry even farther forward in the years to come. 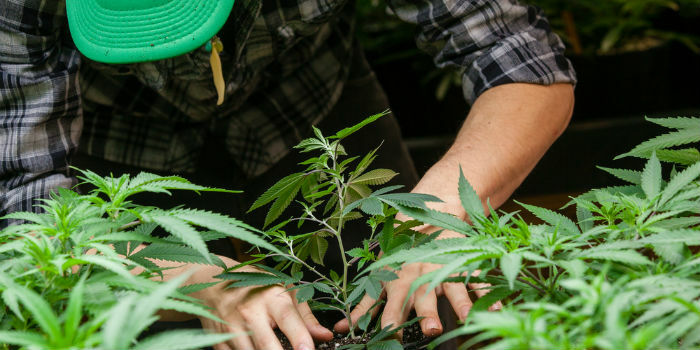 While some aspects of the cannabis industry boom are controversial (large corporations squeezing out smaller family-run cannabis farms and businesses, for example), its potential for continued growth is undeniable. Cannabis market research firm the Brightfield Group estimates that the international cannabis market will hit $31.4 billion by 2021. What kind of growth can be expected beyond that? Another marketing firm, Grand View Research, estimates that the global legal marijuana market will reach $146.4 billion by the end of 2025. In 2017, the United States made up 90% of that market. With marijuana fully legal in Canada, however, some people expect to see that country overtake the U.S. in the global marijuana market. The likelihood of this occurring within the next several years is so real that it spurred one cannabis company CEO to take out a full-page ad in the Wall Street Journal asking U.S. lawmakers to take action. By 2022, the U.S. is expected to have 73 percent of the market ($23.4 billion), while Canada’s market share is expected to increase to 17 percent ($3.1 billion). Some experts estimate that marijuana industry growth will hit $146.4 billion by the end of 2025. With marijuana still illegal at the federal level in the U.S., eyes are still on the White House and the U.S. Justice Department to see if any action will be taken to interfere with cannabis-related businesses and their customers. With marijuana and hemp moving more into the mainstream, the stigma around them is beginning to lift, making investors and entrepreneurs more eager to take advantage of the burgeoning cannabis industry. How much have things changed? Dispensaries and cannabis investment firms now advertise via billboards and on television. Acreage Holdings, one of the largest medical marijuana investment companies, even submitted a marijuana-themed ad to CBS to be broadcast during the 2019 Super Bowl. While the marijuana ad was rejected due to the current federal legal status of cannabis in the U.S., many people see the fact that the ad was even considered as a step forward for the future of the marijuana industry. After years of battling for legalization, many cannabis rights advocates are now seeing their hard work come to fruition. 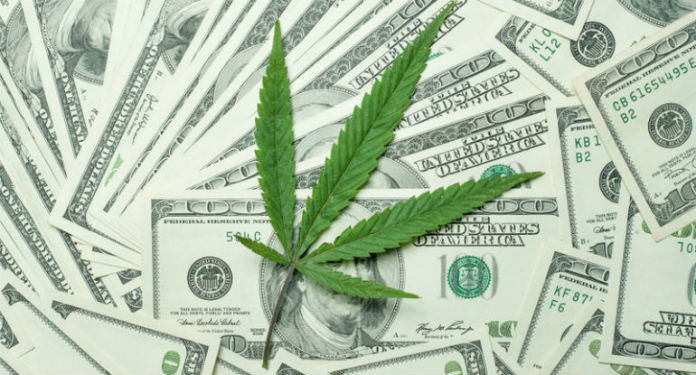 As in all aspects of business, money talks, and with millions of dollars in tax revenue and billions of dollars in profit ready to be made, the cannabis industry appears to be headed nowhere but up.